Chameleon is a powerful web tool for creating and controlling multiple color palettes across an entire product suite. This release includes several long-awaited updates with many new features and performance fixes. 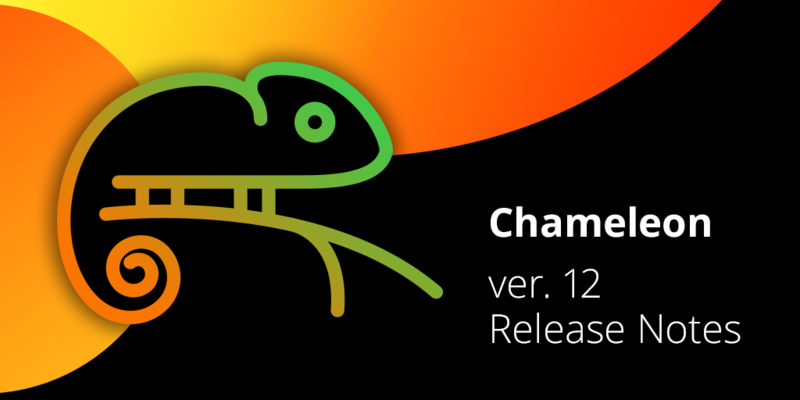 With this release, Chameleon has a large set of stable foundational features and is better positioned for the next wave of improvements. Changes made during each user’s session are now persistent. Any uncommitted changes or selected palettes when a user session is exited are restored when the user begins a new session. These sessions are saved to local storage on the user’s device. The Save Changes button has been renamed Commit Changes to reflect this new functionality. All changes are highlighted prior to committing to make it easier to identify the current color changes before saving to the server. Finally, we’ve added Delete and Rename buttons to the “Select Palettes” window to help manage clutter in the UI space. Delete in this context actually performs an archive action so no information is lost from the Chameleon server. You can now delete any color in “Edit Variable” window by clicking on the “flame” icon ?. It removes the color from the color palette but does not automatically commit this change to the server. This color becomes highlighted as an uncommitted change. There is now better support for color and opacity input and validation. Invalid input data is now highlighted in red. Auto-complete for color codes is added. Layout better fits smaller screens down to tablet size. Now page width can go down to 780px without loss of productivity. It is possible to use one monitor for two open applications. Significant improvements in performance after clicking “Commit Changes”. Now utilizes an expanded layout which has less space for padding and more space for color palettes. Small tweaks to the main navigation. Navigation buttons are grouped in a single fixed header. Scrolling color palettes do not block access to the primary features: selecting new palettes, adding variables and committing changes. A more user friendly Chameleon UI appearance. Small fixes to importing external color palettes and saving color changes to the server.